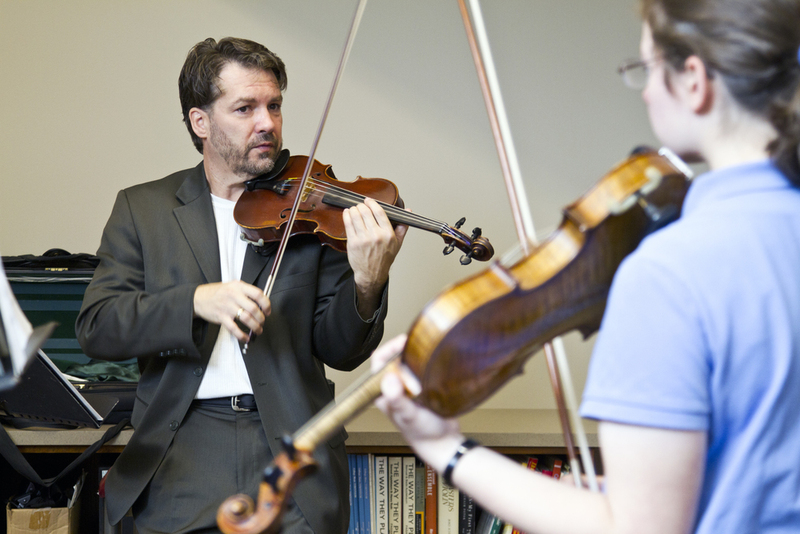 Dr. Reimer's primary teaching responsibilities have been as violin professor and chamber music coach. He has had a number of students win the school's concerto competition and perform as soloists with the Calvin College Orchestra, including concerti by Khachaturian, Brahms, Sibelius, Vivaldi, Mozart and the Ravel Tzigane. Teaching at a liberal arts institution such as Calvin College, he has developed students who have graduated into careers in medicine, engineering and education, while also having some who became music educators or were accepted into graduate schools for performance. 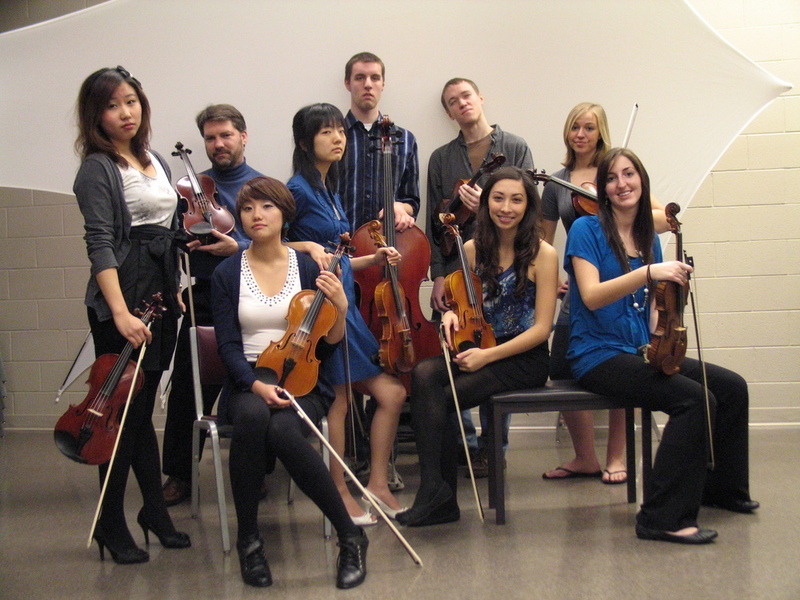 Calvin's string chamber music culture was ignited by Dr. Reimer, who added a string quartet course to the college curriculum, designed and taught chamber music courses for the school's January interim, designed and directed an advanced chamber music camp (the Calvin String Summit), and formed many groups that performed in a wide variety of contexts on the campus, in the community and around the world. Dr. Reimer has coached as many as eleven chamber ensembles at a time, including the Gioioso String Quartet that began in 2005 and continues to this day. Dr. Reimer is committed to understanding the traditions of his institution as well as discerning the needs of the institution and surrounding community. Early in his tenure at Calvin College, he revived an Orchestra Festival program that had been dormant for decades. Rather than repeat the familiar pattern of an “All-Star” Festival, he invited three high school orchestras each year to participate in a clinic and then play together in a concert of 100-140 string players. Guest conductors for this festival included David Lockington (Grand Rapids Symphony), David Bowden (Columbus Indiana Philharmonic), Chelsea Tipton (Toledo Symphony), Vincent Danner (Memphis Symphony) and Raymond Harvey (Kalamazoo Symphony). In 2013, Dr. Reimer and Calvin College Orchestra director Robert Nordling restructured the Orchestra Festival to better suit the strengths and identity of Calvin College in a unique way. Embracing the Christian mission of the college, Reimer and Nordling partnered with the Calvin Institute of Christian Worship to form an Honors Orchestra that studied concert repertoire for performance in a worship context. Taking place as part of the Institute’s annual Symposium on Worship, the Honors Orchestra was featured in a worship setting and also devised and performed a worship concert of its own. When the District Solo & Ensemble event fell on the same weekend in the past two years, the event incorporated an element of performance preparation for selected students that included a Master Class with Peter Slowik (Oberlin Conservatory) in 2014 and James Buswell (New England Conservatory) in 2015. Calvin College is fortunate to have been the beneficiary of the patronage of Leo Cayvan. His donation of audio recordings, sheet music, stringed instruments and a scholarship endowment have been critical to the success of the Calvin College music department. Dr. Reimer assumed curator status upon being hired by Calvin College and has developed the collection while also celebrating its patron. He initiated an overdue appraisal of the entire instrument collection, coordinated a substantial project of renovating instruments and acquiring additional instruments, and updated and catalogued the substantial sheet music collection. Dr. Reimer featured the Cayvan Instrument Collection on local television, before a Calvin Alumni Ambassador Dinner, on the cover of the Alumni magazine (the “Spark”) and developed a program of awarding fine instruments to students as scholarships. Recently, Dr. Reimer initiated a project of memorializing Calvin’s string history (including the Cayvan legacy) in a series of photo collages that highlights past and current faculty, students and guest artists, including the likes of Lawrence Dutton, David Kim, Janos Starker, James Buswell, Charles Avsharian, Ani Kavafian and Joseph Conyers. Calvin’s January Interim is an opportunity to teach creative and concentrated courses over the course of three weeks. Dr. Reimer has presented multiple versions of a chamber music course that included not only rehearsals, coachings, Master Classes and a performance, but sessions in entrepreneurship and interpersonal dynamics. He also offered a course entitled “Cross-Training for Musicians” which introduced a variety of alternative disciplines (theater, athletics, spirituality) as means to grow as performers. Projects yet to be realized include courses in private lesson studios, orchestral repertoire and ensemble mechanics, and performance anxiety.